One guy led to another who led to another, and finally one guy said, “Oh, yes, those were designed by old Richard Arbib.” And the name came forward – Richard Arbib. this Vintage Wristwatch Collector is very interested kind of timepiece. can wore in all type of occasion. Great post! Buying Swiss watches is definitely a great investment. 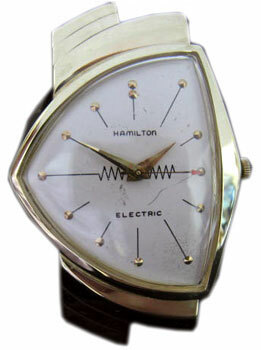 Great Hamilton watch. Nice classic design, very stylish. I think it is a good Swiss watches are good investment, they are not just for display but also have intrinsic value.